Welcome to the final feature for my "Worth 1,000 Words" series! It's been an adventure, wouldn't you agree? And now you can always visit my Summer 2015 archives to find wedding photographers who you can recommend to friends and family who are ready to get married! If you're not married yet then when you get engaged, you now have a lovely resource within this "Worth 1,000 Words" blog series! Today, we're featuring beautiful photography from Caroline Logan, a destination wedding photographer who photographed her first wedding at the young age of 14! She's quite a brilliant, determined and wonderful person to know. Enjoy getting to know Caroline today! Read on for details. While I’m not yet married myself, I’m so grateful for the strong examples of God-centered marriages I’ve been able to look to. I’m especially thankful for my parents who have always taught me that marriage is not a point to be reached, but a process to be nourished. I believe marriage is a lifetime commitment and I am just as excited for my couples to celebrate day ten thousand and one of their marriage as I am about day one! With that in mind, I believe wholeheartedly a photographer’s job spans beyond perfect composition, nailed exposure, or a technically flawless image (although that’s certainly important too). I feel that the foundation of what I do is to capture a joy-filled and genuine connection between a bride and groom that tells an authentic story of who they are together in that moment…so they can look at the images years down the road and feel it too. This is my heart and something I feel so incredibly passionate about. I’m Caroline Logan, a wedding photographer, adventurer, story-teller, and believer in love. I like to think I’m a Southern girl at heart, although I was born and raised in the land I’ll always love and find most dear: Lancaster County, Pennsylvania. I started this journey at the ripe old age of fourteen when I took a crazy leap and photographed my first solo wedding. (Yikes, I was just a baby…I know!) I’ve come a long way since those early days in business, and today, have the joy and privilege of waking up each day to pursue my dream, pouring my heart into work that is truly my passion! I’ve gotten to travel across the country photographing weddings, attending conferences, and meeting incredible people and it has truly been the greatest of adventures. 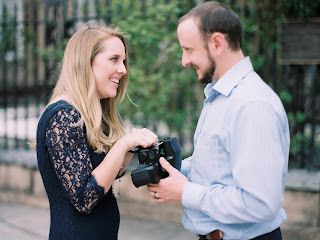 However, for me, it has been the relationships I’ve built with each one of my sweet and amazing clients that has been the biggest reward that has come from running my own photography business. I truly feel so blessed and grateful to be welcomed into my clients’ lives, to learn their love story, to share in their joy, and to celebrate with them as they make this amazing marriage commitment! 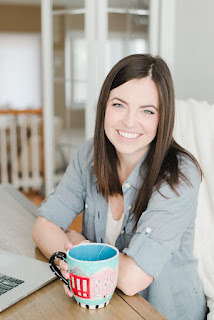 Today, I'm introducing you to a wonderful new author whose first book is a true hit! 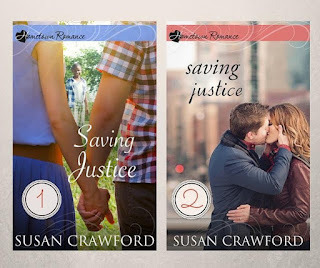 Susan Crawford is the author's name and Saving Justice is her debut novel which she is going to talk about today. But Susan is doing more than stopping by for an author interview, she's hosting a book giveaway contest! Yes, that's right YOU, my wonderful readers, have the opportunity to enter this contest and WIN one e-book copy of Susan's book, Saving Justice! The contest starts today (Sept. 29 and will end on October 14). So that means you have several days to participate in this contest! You can participate by reading the my interview with Susan then answering her question at the end of the interview. When you answer Susan's question please remember to include your e-mail address with your words in the comment section so if you win, Susan can reach you and make arrangements for you to receive your prize! Please note: The winner will be selected via an old-fashioned random drawing performed by me (Alexis, founder of God is Love blog) and then the winner will be announced in the comment section of this blog post on Oct. 15. Sounds good to you? I hope so! :) Enjoy your visit with Susan. *Interview questions from Alexis in bold, answers from Susan not in bold. Alexis: The cover to your novel Saving Justice looks beautiful and intriguing! Who designed it? Is this the look you wanted? Saving Justice is your debut novel. Did you go indie or traditionally publish this work? What did you appreciate the most about your publishing experience? Share details on your journey. I went the traditional route and signed a contract to publish with Redbud Press. I love so many things about Redbud—they’re a small, boutique publisher (meaning they focus on a specific niche in the market—Christian romance); they’re new on the Christian publishing scene and I love that I get to be in on the ground floor of a new venture; the managing partners are amazing authors and businesswomen who know the industry, and I so appreciate the way they have taken this newbie and integrated me into their family of authors. Before I got the contract, I had my dream publishing plan mapped out (1. Get dream agent. 2. Sign with dream publisher. 3. Become a bestseller. ), but God said “No” to that plan and eventually opened the door for me to work with Redbud. I’ll be forever grateful that He did because it has been a wonderful experience. His dreams for me are always better than mine. When did you “know” that you wanted to be a writer? Share the (short) story of how your dream became a reality. I didn’t know what I wanted to be when I grew up until I was almost 40 years old. I’ve always loved to read, but didn’t consider writing fiction until about five years ago when I had a moment with God and suddenly had an overwhelming desire to write a compelling Kingdom story. I had no idea how to write a novel, though, so I went to my local library and checked out a stack of books on writing. I studied on my own for about six months, and then wrote my first manuscript during NaNoWriMo (National Novel Writing Month) that year. I was hooked! Soon after that, I joined My Book Therapy and ACFW and continued to learn how to improve my writing. I pitched my first book to a few editors and got rejected, so I set it aside and wrote another one. I pitched that one and got a little more traction, and it went on to final in the Genesis contest. Before the contest results were announced, I got the call from Redbud Press and signed my first contract. After a lot of revising and editing, Saving Justice was released into the world. Let’s talk more about your book. Where is the setting for Saving Justice? Who are the main characters? How and why did you choose their names? It’s set in Oklahoma City. I chose to set it there because it’s my hometown and I love it. Most books I’ve read that are set in Oklahoma are about small-town cowboys—which is great, who doesn’t love a cowboy?—but I wanted to show our urban side, too. The main characters in the story are Kinley Reid and Nash McGuire. I chose Kinley’s name because my husband and I were thisclose to naming one of our daughters that. We ended up giving them other names, but Kinley has stayed at the top of the list for years, so I was happy to finally have a reason to use it. As for Nash’s name, I just thought it sounded cool. Describe your heroine Kinley. What is her main motivation? What are her goals? What is the conflict that makes her journey challenging? What or who makes her heart melt? What makes her so determined to save Justice? Kinley is fiercely passionate about helping people, and her main goal is to keep Justice out of trouble and out of danger. She’s so determined because she’s following in her late brother’s footsteps, and she wants to make a difference like he did. She’s also spontaneous and fun, and more than a little disorganized. She has a tendency to rush into situations without thinking, and she has a bit of a “fixer” complex—she thinks, given enough time, she can fix everything that’s wrong with the world around her. But in helping Justice, she comes up against things she can’t fix (like drug dealers with guns), and has to learn to surrender to the only One who can. Describe your hero Nash. What is his main motivation? What are his goals? Why is he an entrepreneur and not in another career? What role does his work as an entrepreneur play in the story? Nash grew up in the poverty-stricken Martindale neighborhood, and he overcame a lot of obstacles to become successful. His goal is to renovate his childhood home, sell it, and get out of the neighborhood for good. He’s still carrying the scars from the choices he made there, so he’s trying to move forward and forget about his past. I made him an entrepreneur because I needed him to have a flexible schedule, but I also wanted him to be wealthy as a contrast to Kinley. His career isn’t really a main feature of the story, but it provided the framework I needed to get him on the page with and Kinley and Justice. Describe Justice, the catalyst for this story. How old is he? Where did he grow up? How does Kinley first meet him? Why does Justice need to be saved and from what does he need to be saved? Is there a special reason why you named him “Justice”? If yes, explain why. Justice is ten years old. He’s in Kinley’s fourth-grade class, and he’s one of her most promising students. He’s growing up in Martindale, where crime and gang activity are a regular part of the landscape. At the beginning of the story, Justice gets into trouble, so Kinley takes it upon herself to keep him on the right track. She wants to save him from getting caught up in the destructive aspects of his neighborhood and point him towards the good. I named him Justice because the word conjures the idea of God coming and making things right. To me, this little boy is a reminder that God shows up for us. Why did you make Kinley a schoolteacher? How does her passion for children and her personality play into your story? I have such a deep admiration for teachers, whether they teach in public school, private school, or home school. My husband is a teacher, and so are my two closest friends, so it seemed like a good idea to pattern my heroine after them. In one sense, it was a case of “write what you know”, but it was also a chance for me to create a fun composite of these people I love so dearly. I’ve watched my friends give their whole selves to invest in a kid’s life, and that inspired Kinley’s passion for children. She’s also fun, quirky, and spontaneous, and that combination of traits is what makes her story work. If she were cautious or a rigid planner, she wouldn’t get into as much trouble and that just wouldn’t be any fun. What do you want your readers to remember most about Saving Justice? First, I hope they remember it as a story they enjoyed. Beyond that, I hope they’re inspired to love the people God has placed in their lives, no matter where they are or what season they’re in. We can touch hearts and lives, even when our efforts seem small or we don’t do it perfectly. As a woman of faith, how does your belief in God affect your storytelling style? I see the world through the lens of my relationship with Him, so even if I’m telling a story where God isn’t specifically mentioned, I think He shows through. My favorite stories highlight the things I love most about God—His power to redeem anything and everything, His justice, His mercy and grace, His unending love. I want to tell stories that put those things on display. Never in my wildest dreams! Every step along this journey has been such a gift of God’s grace in my life. Next up, I have a novella called Reclaiming Brynn that will release on October 20, 2015 as part of a collection called The Boy Next Door, and the second book in my Heart of the City series, Redeeming Cade, releases December 15, 2015. Complete this sentence: I write because__________ and__________I cannot live without______________________________! I write because it helps me see God more clearly in my own life and I cannot live without chocolate! Thanks for the interview, Susan! Please leave a question for my readers to answer that will qualify them to enter your book giveaway contest. Susan: Tell us about your favorite teacher. How did he/she make a positive impact on you? 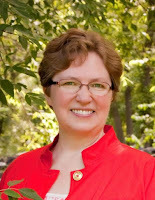 Susan Crawford is an author of inspirational contemporary romance, published by Redbud Press. 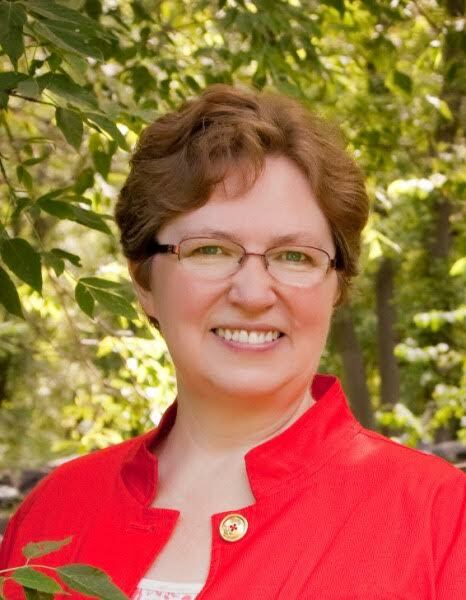 Before publication, her debut novel, Saving Justice, was named a finalist in the 2014 American Christian Fiction Writers Genesis writing contest. 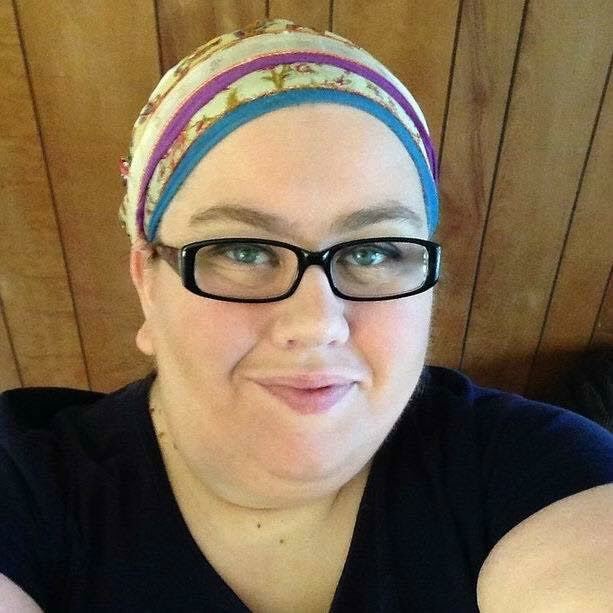 Susan lives in Oklahoma City, where she happily crams writing in between being a wife, mom, and small business owner. 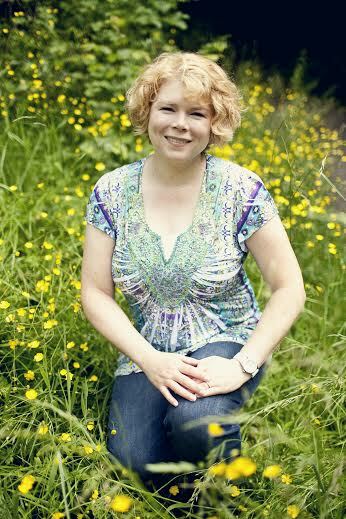 Visit Susan's website www.susancrawfordbooks.com where you can sign up for her newsletter. She'd love to keep in touch with you! Today, Mary draws on her experience as a first-grade teacher to share thoughts that will challenge us to think outside of the box and remember that our true treasure is found only in Heaven. Fridays were always fun days when I taught first grade because, as each school week drew to a close, my students and I gathered around the story rug for a respite from academics to dive into the most sought-after and anticipated activity of all—searching for treasure. The Treasure Box was nothing fancy—simply a cardboard box decorated with stickers and cast-off costume jewelry. But, to a bunch of six-year-olds, it was the hottest item since crust-less bread. Oh, the power…the mystery…the joy and the tears! Tears? Wait a minute—why tears? Well, the Treasure Box was part of a school-wide reward system implemented to encourage students to follow rules and complete assigned tasks in a timely and careful manner. It was a time when less certainly equaled more—less broken rules equaled a greater reward. Less distraction from the workload meant more production and a larger cut of the bounty. As the students, one by one, approached the Treasure Box and shared their behavior and assignment log, some of them received treats and others, well…had earned not so much. It was a time for anticipation, reflection, and discussion. Happiness did not always abound. Nonetheless, whatever the week’s outcome, each student knew that he or she would return on Monday with a totally clean slate to embark on that week’s adventure. As Christians, we know that our treasure is found in Heaven. Sometimes we soar like eagles and sometimes we stumble—or even fall flat on our face. Thank goodness we don’t have to wait until Monday morning to gather a clean slate. The blood of Jesus washes us white and tells that, as believers, nothing here on earth can separate us from His love and grace. So, enjoy a respite in the healing power of God’s glory. Through the blood of His Son, we are washed clean. The treasures of Heaven await those who accept Jesus Christ as Lord and Savior. We are made new each and every day and there is no limit to the gift of God-given grace, because our treasure is found outside of the box. Today, I'd like to share this special feature with you: an excerpt from Kimberly Rose Johnson's new novel Island Dreams! But first, I'd like to share one of the many positive reviews about Kimberly's book. 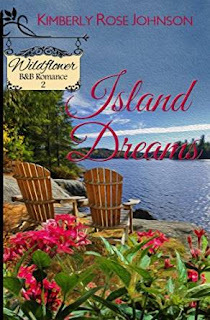 "Island Dreams is the second book in the Wildflower Bed and Breakfast Romance series. It's a marvelous story with a beautiful setting. I love the characters and how each one has their own unique personality. The romance between Chase and Piper can relate to many of us. Sometimes both have to find a compromise to make a situation or romance work. This book attracted my attention from the first chapter. I enjoyed reading Island Dreams and looking forward to the next book. I highly recommend reading this book by a great author. I received a complimentary copy from the author in exchange for my honest review. This review is one hundred percent my opinion." ~Barbara Thompson writes on Sept. 3, 2015, in review of Island Dreams (Kindle edition) on Amazon.com "Marvelous Story With A Beautiful Setting!" PIPER HUNT HATED TO BE LATE but this time it couldn’t be helped. She rushed into the general store where the smell of coffee permeated the air. She’d give anything for a good cup right now. She hoped this place had a decent brew but was doubtful. She already missed the Starbucks in her Tacoma office building. She stopped abruptly as her surroundings registered in her brain. “Whoa.” She’d stepped back in time at least fifty years. Her dad had warned her about Wildflower Island, but this was the kind of place one had to see to believe. The general store looked like something out of Little House on the Prairie only somewhat modernized. She looked around the expansive space. It really wasn’t bad. On one side groceries and sundries were lined up neatly on old-fashioned wood shelves reminiscent of a simpler time in history, on the other side a small café. She squared her shoulders and strode to the right toward the café. Now to find Chase Grayson. She looked around the room and didn’t spot anyone that could be described as six foot tall and in his early thirties. She glanced at her watch. The ferry to the island had been a little late this morning thanks to a stalled vehicle. The man was supposed to meet her here ten minutes ago. Had he given up and left? She’d sent him a text, but he hadn’t replied. Maybe he never saw it. She unfolded the note while the young man prepared her drink. Ms. Hunt, I had to run. Will catch up with you at the property. She handed him three ones and picked up the cup. “Thanks. No problem, other than I lost my guide. Any idea how to get to the Hunt property?” She sipped the coffee and grinned, surprised. At least she knew where to find good coffee even if she didn’t know where to find Chase Grayson. “Positive. Maybe the people at the Wildflower Bed-and-Breakfast will be able to help. Thanks.” She rushed to her black Jeep Wrangler, hopped in, then paused. The GPS should be able to guide her to the property with the latitude and longitude coordinates and would save her a trip to the B&B. She pulled out the file in her brief case and entered the coordinates into her GPS. A knock sounded on her window. She jumped and spun her head to the left. A frowning man with short-cropped brown hair stood a foot from her door. He softened, flashing perfect white teeth. “I’m glad you made it off.” The man stood at least six feet tall to her five-foot- seven inches. He wore Levis and a tucked in, button up, plaid shirt. Kind of outdoorsy, but he looked safe enough. So much for that good working relationship she’d hoped for. Island Dreams is her seventh published book and the second in a series of three. A Falling in Love with Jesus story written by Ricky Venters, Jr. It was just another normal night. The excitement of beginning the school year was still pumping through my body. I felt that excitement that has you eager to go bed early so that the next day could quickly come. To make it even better, I had just experienced my eighth birthday. Life couldn’t get better. As I went through my normal nightly routine I remember my head spinning with excitement from all the plans for the next day. The teams for the basketball game during recess were picked, I had my favorite egg salad sandwich ready for lunch and my tradable items as well—oatmeal cookies to be exact. I said "good night" to my mother and father, said my prayers to God then I laid down to sleep but my mind kept racing. What will tomorrow be like? How much fun will I have? Will John bring my favorite snack to trade? Will my team win the basketball game? "I guess we will see," I said as my eyes finally closed for a good night’s sleep. Hours later I woke up crying for help. I thought to myself, “No, this can’t be happening again!” I woke up gasping for air. It felt like someone was reaching inside of my body and grabbing both of my lungs and squeezing as tight as they could. No, not again. I remember screaming, “Mommy, Daddy, God…somebody help me!” My door burst wide open, my parents rushed to my bedside and held me tight. I remember my mother on the phone calling for help. I wasn’t quite sure who she was calling but what seemed like seconds later, I heard sirens in the distance. Were they coming for me? The next thing I remember, three strangers rushed into my room. They put me on a stretcher and carried me out of the house and placed me into an ambulance. It all seemed to happen so fast. I remember dosing in and out of sleep and just repeating “Lord, Lord!" aloud. While drifting in and out of consciousness, I captured small snapshots of time: the paramedics cutting open my new sweatshirt, the X-ray technician rolling me over on the X-ray table, being wheeled down a hospital corridor. Each moment flashed by quickly, leaving me no time to process what was happening. As I ponder on the moment I first fell in love with Christ, I reflect back to that night 24 years ago. Growing up struggling with asthma many times I would ask God, “Why? Why couldn’t I be a normal boy?” It’s not fair that I couldn’t run without getting short of breath. It’s not fair I would get jolted out of my sleep gasping for air multiple times at night. How could Someone who loves me allow me to go through this pain? But at that moment as I lay in that hospital bed, I realized that God will never leave me nor forsake me. My love for Jesus Christ was birthed when I realized He loved me so much that despite my condition, He will save me. Jesus spared my life that night and I will forever be grateful. 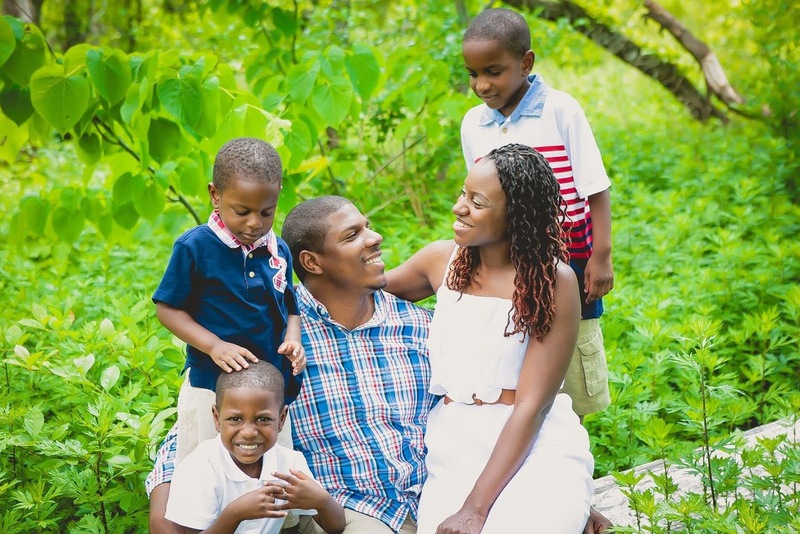 Author bio: Ricky Venters vowed he would use his life’s experience to encourage others to keep fighting for their life and turn their roadblocks into stepping stones to real success. 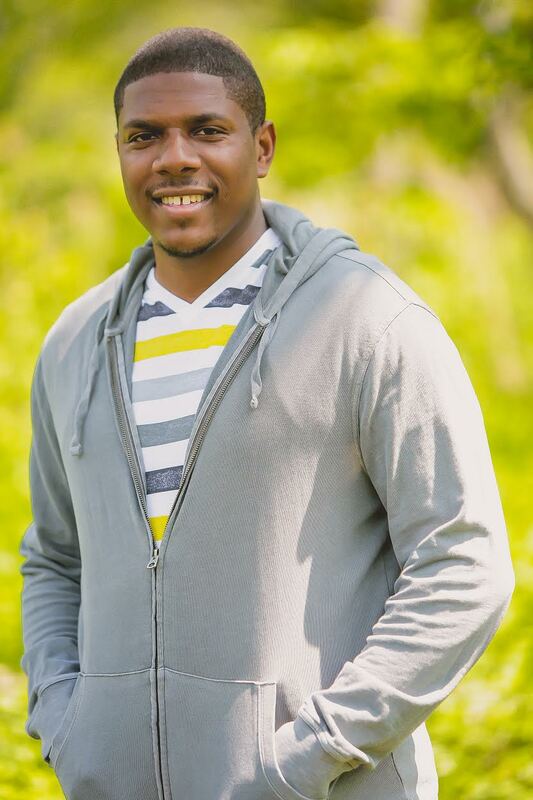 Defying the odds, Ricky holds a Master’s Degree in Mechanical Engineering and enjoys mentoring students who may be struggling academically or who are undecided about a future career path. As a speaker, educator, mentor and preacher, Ricky captivates all listeners with his life’s story leaving them with hope, purpose, and strength. Labels: asthma, birthday, childhood memories, emergency, Falling in Love with Jesus, family, God's grace, God's love, hospital, JESUS saves, parents, Ricky Venters Jr. When is the first time you fell in love with Jesus? How did His love change your life? These are questions I've asked dear friends to answer in my blog's new series, "Falling in Love with Jesus." The series will run weekly on Fridays for the entire Autumn season 2015. Ricky Venters, a singer on the praise team at his church in a metropolitan area, will kick off the series this week (Friday, Sept. 25) with words on how he first fell in love with Jesus Christ as His Lord, Savior, Redeemer and Friend. Every week following then you will read another story by another person whose life was changed for the better, forever when they fell in Love with Jesus. I hope you will enjoy this series and May God bless your heart as you read these stories from real, everyday people just like me and you whose lives have been transformed by their love relationship with their Lord and Savior (Jesus Christ). Today we've got a different picture worth a thousand words, it's what wedding photographers call the "first look." 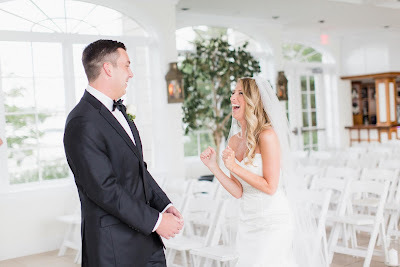 Featured in today's picture are Jacob and Laura getting a "first look" at each other before their wedding ceremony. The first look is really for the guy to see how beautiful his bride looks in her wedding dress in a private moment shared between the bride, groom and their professional wedding photographer(s). 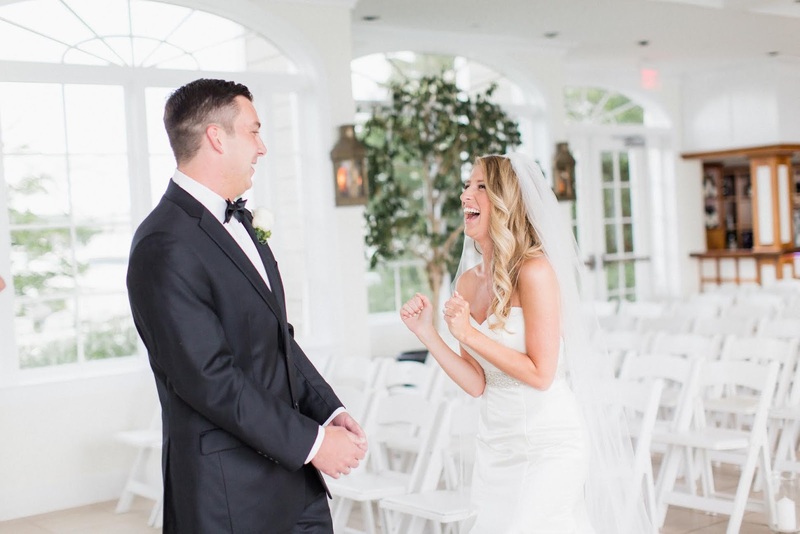 But after seeing this picture, I believe Laura was just as excited to see her groom in his tuxedo as he was to see her in her wedding dress! 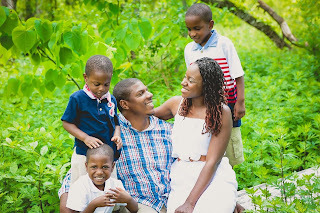 Alisandra Williamson of Alisandra Photography captured the picture of The Barkers. Ali dreamed of a career in the music industry before wedding photography caught her eye. She's pursued her passion for capturing lovely wedding day memories with her camera and I'm delighted to introduce Ali to you today! 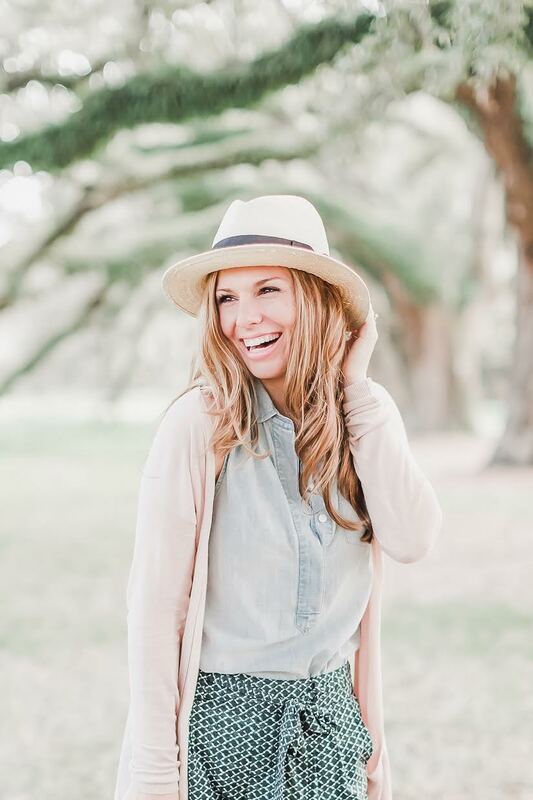 How Ali views love through her lens as a wedding photographer: When I started as a wedding photographer, I really just loved being around the raw emotion and energy of a wedding. But the more weddings I photographed, and teared up at, I realized the depth of what I do. LOVE propels the wedding day, and of course, it propels the marriage. I view my work as a tool in this process. 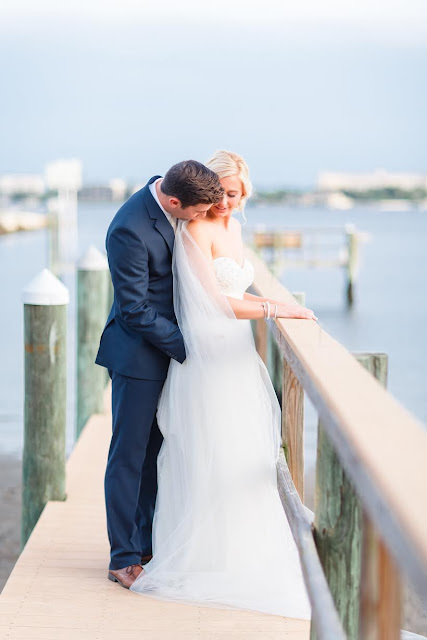 As my couples look back at their wedding photos year after year, I believe they hold the ability to remind the couples of their vows, emotions, and their LOVE as it was from the beginning. I never had dreamed of being a photographer, in fact, I wanted to work in the music industry! I still love music, but I love my job even more. I began my career as a wedding photographer after a few years of second shooting under my belt. 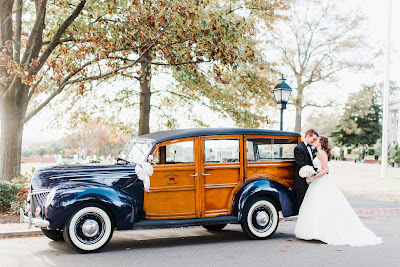 After attending photography school in the heart of Washington, D.C., I started my business in 2010, and now shoot an average of 20 weddings per year. I’ve had the privilege of meeting amazing couples and documenting their love. I view my job as an honor and a gift, just as I view marriage itself! I'm based in Richmond, Va. where I live with my husband, Chad. We'll be married 5 years in October! Today, I'm introducing you to Brenda S. Anderson. She's a dynamic author who is not afraid to tackle tough issues from real life in her fictional story worlds! Brenda is here to talk about her latest book, Hungry for Home. 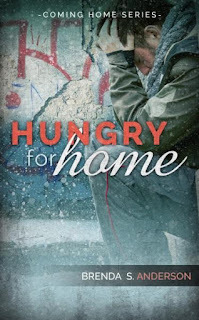 Now some exciting news for you as readers: Brenda will give away one copy of Hungry for Home to the winner of the book giveaway contest hosted here on my blog today! The winner may choose if they want a Kindle or Nook edition of Brenda's book. You can enter this contest by leaving a comment at the end of this blog post telling Brenda what you liked about her interview. The book giveaway contest starts today (Sept. 22) and will end on Oct. 9. You must leave your e-mail address with your comment for Brenda so she can contact you if you win. We're doing this contest the old-fashoined way—the winner will be selected via a random drawing done by me (Alexis). I will announce the winner here in the comment section of this blog post, on Oct. 1, 2015. Enjoy the interview with Brenda! Alexis: Congratulations on the release of your new book! Tell us about the work that went on behind-the-scenes to make this happen. Brenda: I did a lot of online research on homeless teens: watching videos, reading testimonies, learning how teens survive and what is being done to help curb the problem. I’ve also toured and volunteered at a new local center for homeless youth. Why did you call your book, Hungry for Home? Both words hungry and home have double meanings. For the homeless teen in this story, he is physically hungry and he longs to have a home. For the couple who takes this teen into their home, their hunger is an emotional one, wanting to turn their house into a home. They learn that a home is far more than four walls and a roof over their head. What was your inspiration for the setting of this story? The fictional town of Amery, Minnesota is loosely based on a city close to where I live, Anoka, MN. I chose this particular setting because of a) the quaintness of the downtown area, and b) the severe winter weather in the area adds conflict to the story; the weather is an antagonist. What can you tell us about the book’s plot without giving away the ending? 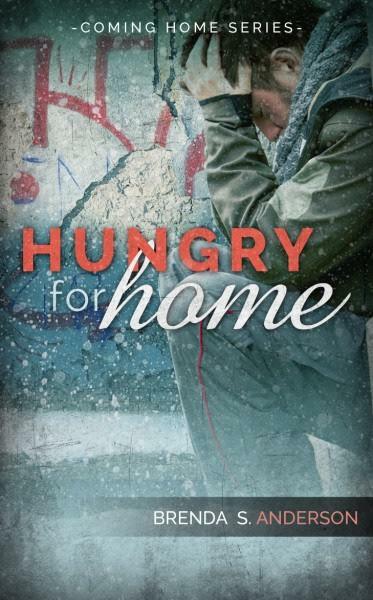 Hungry for Home is about a homeless teen who mugs a woman, but instead of pressing charges, the woman and her husband take the teen into their home. You tackle tough, real-life issues in this book: a pregnant teen, a mugging and situations that make the innocent vulnerable. Why did you choose to write this way? My favorite stories have always been about real-life issues. Even as a teen, the stories I gravitated toward were about runaways, drug and alcohol abuse, and homelessness. So when I write, gritty, real-life stories are what I’m compelled to tell. I love to see how God’s light shines through the darkness, and how He can restore broken people. Tell us about the “hungry, homeless teen.” What is his name? What was the reason you created this complicated character? Austin Lang aged out of foster care when he turned eighteen. His life goals are pretty simple: find food and shelter, and protect his younger sister. The idea for Austin came when I read about the staggering number of homeless teens in our county, over seven hundred! Each of those teens are loved by God, each has their own story, and like all people, their stories are complex. Sharing Austin’s story is my way of raising awareness for teen homelessness. Tell us about your heroine Sheila Peterson-Brooks. Who is she? What does she do for a living? Sheila Peterson-Brooks is an executive sales manager for a Minneapolis-based sports distributor. She grew up as the only daughter of an older couple who never showed her love. Once she turned eighteen and was off at college, her parents abandoned her. Seventeen years later her father contacted her wanting to be back in her life. In Hungry for Home, you’ll see her grace toward both parents, in action. Your book summary says Sheila has a “troubling encounter” with a pregnant teen. What happened? Why was it so “troubling”? Sheila volunteers at an organization that helps people through unplanned pregnancies. While there, a young, pregnant girl comes in, a foster girl who’s afraid her current foster family will turn her out once they learn of her pregnancy. Sheila’s heart breaks for the young girl and knows she has to do something. Turns out, this girl is the younger sister of the youth who mugs Sheila. What lesson do you want your readers to learn from reading this story? To look beyond the façade of the homeless. They are all precious children of God, we just need to see them through His eyes, not our own. What was the most challenging part of writing Hungry for Home? The most challenging part was taking a mugger and making him relatable, likable even. It was also a challenge saying goodbye to beloved characters Richard and Sheila Brooks who have been with me through four books. What is your favorite scene to write in this novel? Explain why. My favorite scene is one where Sheila is visiting her dying mother in the nursing home. Though her mother never showed her love, Sheila loves her mother by serving her, by giving her a makeover and then washing her feet, all while music from The Messiah is playing in the background. Here, Sheila truly shows a servant’s heart. What do you hope your readers remember the most about Hungry for Home? It’s never too late to get involved. Never too late to say “I love you.” Never too late to show a servant’s heart. Complete this sentence: When I wrote this book, I wanted to raise awareness about teen homelessness because awareness births a willingness to help. When I wrote this book, I wanted to raise awareness about teen homelessness because awareness births a willingness to help. Thanks for the interview, Brenda! Brenda S. Anderson writes gritty and authentic, life-affirming fiction. She is a member of the American Christian Fiction Writers (ACFW), and is currently President of the ACFW Minnesota chapter, MN-NICE. When not reading or writing, she enjoys music, theater, roller coasters, and baseball, and she loves watching movies with her family. She lives in the Minneapolis, Minnesota area with her husband of 28 years, their three children, and one sassy cat. 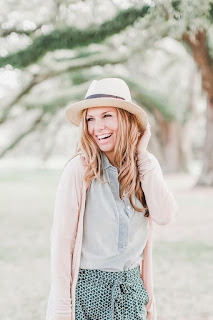 Welcome creative photographer Nikki Santerre to the blog today! 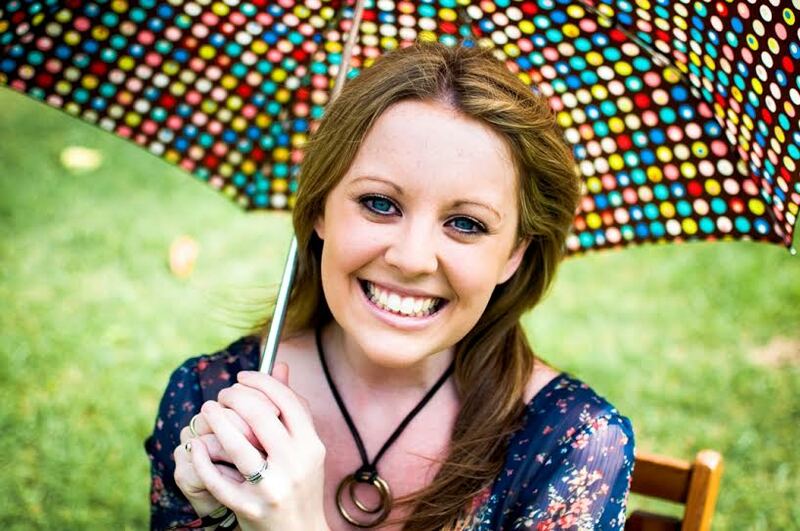 Nikki works two jobs and still manages to devote time to her wonderful photography business! I think you will love visiting with Nikki. You are welcome to leave a message for Nikki in the comment section and connect with Nikki through the social media links provided below. I think the thing that most adequately equips me to serve my clients on their wedding day is that before I am anything else, I am a wife. What marriage has taught me is that love is a choice, that everyday my husband and I wake up and choose one another. The images that I produce for my clients aren't just pictures, they are heirlooms. Heirlooms that are thoughtfully curated and meant to be tangible, to be passed down through the generations as evidence of the love and legacy that all started with saying, "I choose you and our love is worth fighting for." Knowing how detail-oriented and wedding-obsessed I have been for most of my life, I thought I would be a total ball of stress on our wedding day. That was certainly the case during the comically disastrous week leading up to the big day - which played out like something from Father of the Bride (the movie). Except instead of a supermarket meltdown over hot dog buns, it was a fluke back injury that almost rendered my dad unable to walk me down the aisle, a mysterious virus/food poisoning that made its way through the entire Steckler family, weather that wouldn't make up its mind, shoes that never arrived, staying up until 2 a.m. every night trying to finish the DIY projects (I blame Pinterest! ), and the list goes on. But somehow, the wedding day came and I felt a calm come over me. It suddenly didn't matter to me that my hair wouldn't cooperate or that I didn't have my perfect monogrammed Jack Rogers I'd ordered. All I cared about was getting to that church and making my best friend of so many years my husband. Truly, I think I looked in the mirror once before I walked down the aisle. I think that's love: not getting wrapped up in the things that just don't matter when you are surrounded by the only thing that does. When Adam took my hand from the other side of the door and prayed with me before our ceremony, his love and calm brought me to center the way it has so many times in the past. I am so grateful for that moment. Now, as I sit on the couch across from my husband of almost two months, that same love is there and growing everyday. As Nikki captured so well, our wedding was beautiful and perfect despite the comedy of errors preceding it. But our marriage is so much more beautiful than our wedding. Everyday isn't glamorous or Instagram-worthy (ex: I'm currently wearing scrubs from work and eating rice), but it's finally ours to share with each other. And that's all that really matters to me. As a groom preparing to start life with my future wife, I knew I wanted to do everything I could to make her happy and excited for our marriage. Between the engagement and months of wedding planning, I tried my best to make her smile, and assumed that was the best way to express my love. After our wedding and commitment to each other, wonderful honeymoon, and starting life together, I soon found out love is more than just seeking happiness together. Love became the mutually shared responsibility challenge, improve, and to be present in the little moments of each other's lives. During marriage, love has become more exciting and fulfilling than I ever could have imagined. Looking at Maddie, I am reminded daily of just how lucky we are. 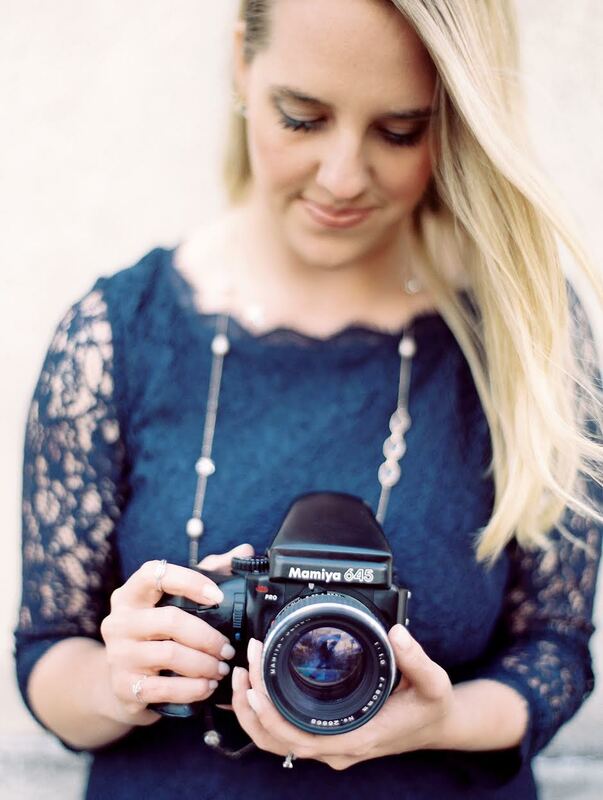 Photographer bio (in Nikki's words): My name is Nikki Santerre, and I'm a Fine Art Film Hybrid Photographer (that's basically a fancy way of saying I shoot both film and digital and I harvest light in order to curate beautiful and timeless heirlooms for my clients). I'm married to a handsome fella named Matt and we have two pups who have stolen our hearts, couch cushions, and my side of the bed. Earlier this year, I launched Love Came Down, a wedding blog dedicated to preparing for a marriage deeply rooted in Christ. I'm passionate about motherhood (although I am not yet a mother), serving others through my business, education (specifically educating other photographers regarding running a Hybrid digital/film photography business through my monthly newsletter, The Hybrid Society) and doing everything with love and to the glory of my Heavenly Father. 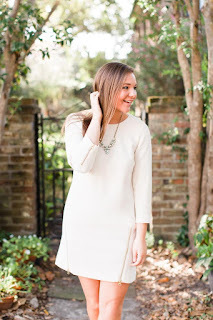 Welcome Allyson Carter to the blog today! 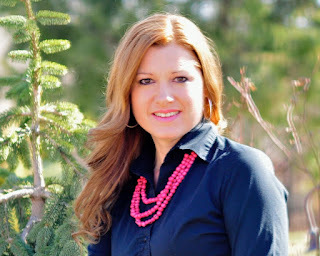 She writes romantic suspense for the Christian book market. Today is your time to learn all about her new novel Hearts Undone! I hope you will enjoy this interview with Allyson. If you'd like to buy her book, there are purchase links at the end of this blog post. Enjoy! Alexis: Congrats on your latest novel, Hearts Undone! Now that it’s published and available for purchase, how do you feel? Allyson: That’s a loaded question. I feel excited and nervous, and I’m sure a million other emotions! Why did you write Hearts Undone? It was one of those books that came to me and I had to write it down. It wouldn’t let go of me. I rewrote this book a total of six times before it was right. What message are you sending to your readers in this book? What or who was the inspiration for your main characters? The singer JoJo was my inspiration for Shelby and Chris Young for Mark. What was the most challenging aspect of crafting the storyline for this book? The learning to add faith into my writing and making sure it flowed just right. This was my first book written, well, I should say rewritten as a Christian book. I came over from a different genre. Tell us about your heroine Shelby. Why did you choose her name? What makes Shelby happy? What brings the most pain? Share the deepest desire of Shelby’s heart. She came to me with that name. I didn’t have a chance to choose a name for her. God, her best friend and her family make Shelby happy. What brings Shelby the most pain are her past mistakes and the way she let God down. God is Shelby’s heart’s desire, along with her family. She also loves to help out the teens in her community. What does Shelby think of the hero when she first meets him and is her first impression the lasting impression? She thought he was a softie. He comes off edgier than he really is. Yes, she was pretty right about him even way back. Tell us about your hero Mark. Describe his looks, his heart’s desire and why he’s introduced into Shelby’s life. Mark is six-foot-three with denim-blue eyes and broad shoulders. His black hair trimmed in a crew cut. His heart’s desire is to help others, that’s why he went into the military. How long have Mark and Shelby know each other? How does he help her? Mark and Shelby have known each other since they were little. He was introduced to her when she was born. Mark helps Shelby because he’s there when danger comes. He doesn’t hesitate to keep Shelby and her daughter safe. He protects them. How does Mark help Shelby heal from the pain of her past? He doesn’t realize it at first but God is using him. He reminds her of the woman she used to be. He shows her that with God’s help she can trust again. Mark is determined to protect and perhaps even fight for Shelby and her daughter Hannah, even to “his last breath” as it states in your book summary. Why does Mark feel so fiercely protective of these two females? Deep down he’s always felt protective of Shelby. He doesn’t want someone to hurt her. She’s innocent. When he finds out it is someone from his past. He feels he must protect them. It is who he is deep to his core. What role does faith in God play in Hearts Undone? It is a big part. Both of them are believers. Mark has taken a step back and Shelby knows she’s nothing without God. How does your Christian worldview as an author affect your fictional story world and the lives of your characters in Hearts Undone? It plays a big part. They have to rely on God in some dangerous situations. He’s the only way they’d make it out alive. I try and weave that into both of their lives, even if they’re fighting against God to come back. What did you love the most about writing Hearts Undone? I loved that it was a fresh start for me. It was like new life was being put into me, as I was able to write and not hide who I am as a believer anymore. What’s your elevator pitch for Hearts Undone? Shelby may lose more than her heart. Hearts Undone is "Criminal Minds" meets Sweet Home Alabama. You should read Hearts Undone because it is a story that shows how powerful our God is, even when we fall down and make mistakes, he can use them for His glory. 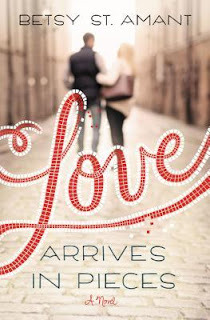 Love Arrives in Pieces is a book that I loved to pieces! Author Betsy St. Amant, one of my writer friends and favorite authors, is super sweet and talented! She shines with her storytelling style that gently scoops you up within the first few pages and carries you through this delightful tale about how only God can make beauty out of brokenness. The story starts with the main character Stella Varland. She's sitting inside her sister Kat's bakery deconstructing decorations on top of a cupcake one "plink" at a time. These outward actions are symbols of inner turmoil--Stella is still reeling from her divorce, an event that shattered her heart into millions of broken pieces. Kat proves to be of invaluable help to her dear sister Stella from the very first few pages of the story. She provides counsel, advice and good humor to lighten Stella's mood. But it is also Kat who later on in the story almost prevents Stella from finding her healing and happily ever after. But the author brings that conflict full circle too and all I can say is the reader is not disappointed with the denouement. Female readers who love a good, handsome and hunky hero will adore the other star of this story, Chase Taylor. He's easy on the eyes and soft on the heart despite the fact that in the past, he broke both Kat and Stella's hearts. But the author Betsy does not leave the readers on an emotional cliffhanger with those pieces of the story. She skillfully weaves in just enough backstory and just enough character development to please the reader and make her characters not only believable but relatable. Speaking of backstory, here's the scoop: Stella is a former pageant queen who is always adored by men except the one she married. He's the one who divorced her and broke her heart into pieces. Chase is a contractor who is not only dashing but daring. His way of moving on after losing his fiancee is to experience life full-speed ahead, living with no chance of regrets. And here's how the characters come together: Stella and Chase are forced to work together on a big project--renovating the town theater. They clash early on as their reunion brings up the pain of the past though for the first full half of the story, they keep their pain and details therein hidden from each other. Several chapters of Stella and Chase fiercely guarding their hearts from the hurt of their past, ensue. But here is how the author shows how God works. Just like in real-life, God uses these two broken hearts (Stella and Chase) to bring each other healing. As the story progresses, Stella and Chase are placed into situations and have conversations that challenge them and slowly but surely start to change their lives for the better. Betsy is skilled at character development and she knows how to write in a way that's both inspiring and informative yet captivating and whimsical. Truly, I envisioned this book as a movie as I read it! It's just that good! *The author provided Alexis A. Goring with a complimentary copy of her book, Love Arrives in Pieces, in exchange for an honest review. Author bio: Betsy St. Amant has a heart for three things - chocolate, new shoes and sharing the amazing news of God's grace through her novels. She resides in Louisiana with her adorable, story-telling young daughter, a collection of Austen novels and an impressive stash of Pickle Pringles. Betsy has a B.A. in Communications, is multi-published in contemporary romantic fiction, and freelances for her local newspaper. She also enjoys inspirational speaking and teaching on the craft of writing. When she's not composing her next book or trying to figure out where Mr. Darcy went, she can usually be found somewhere in the vicinity of a white-chocolate mocha, or singing along with her daughter to the latest Disney soundtrack. 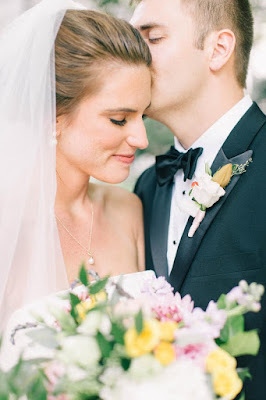 Today, I'm introducing the work of another wonderful wedding photographer. Let's welcome Annamarie Akins to the blog! I love the photo of Annamarie's clients, newlyweds Robert and Erin Preston! 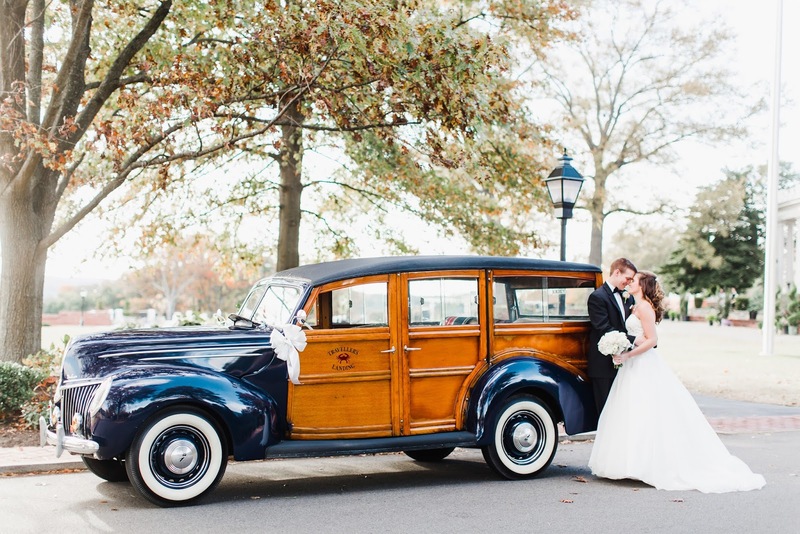 Don't you love the old town car in the picture and the way the bride and groom are perfectly positioned? Annamarie is talented, right? I think you will like her view on love, photography and the people and things in her life that bring her joy! Enjoy her visit with us and interact with Annamarie by leaving a comment at the end of this blog post. I’m Annamarie, owner of Annamarie Akins Photography and am an International Wedding Photographer based in Virginia. I enjoy traveling to capture love stories and photograph around 25 weddings a year. I’ve been so honored to have my work published in magazines including Destination I Do, The Knot, and Washingtonian Bride and Groom. I live in an old house (with virtually no closet space!) just outside of the city in Richmond, Virginia, with my husband + high school sweetheart, Ryan, and our sweet pup, Lexie. Some of the things I love most include relaxing with them and friends in our backyard, a good coffee date, and trying new local restaurants. I’m a self-professed travel loving homebody — as deep as my love is for exploring new places, sometimes there’s no place I’d rather be than cuddled up on the couch with my french press and a good book.